There was a familiar face at Edgbaston on Sunday as the majority of England's limited-overs players met up ahead of the series against New Zealand. But the sight of Dermot Reeve, the captain of Warwickshire during their mid-90s 'glory years,' on his former home ground will have surprised many. Reeve, the former England allrounder, has been recruited by Andrew Strauss, the new director of cricket with England, on a short-term deal to add some limited-overs nous to a side that endured a wretched World Cup campaign. Reeve earned a fine reputation as a leader and tactician during a period in which Warwickshire won six trophies in just over 24 months including an historic treble in 1994. Renowned for his innovative thinking and tactics, he formed a formidable partnership with Bob Woolmer, the Warwickshire coach at the time, and appeared to shine on the big stage, three times winning the Man-of-the-Match award in Lord's finals. 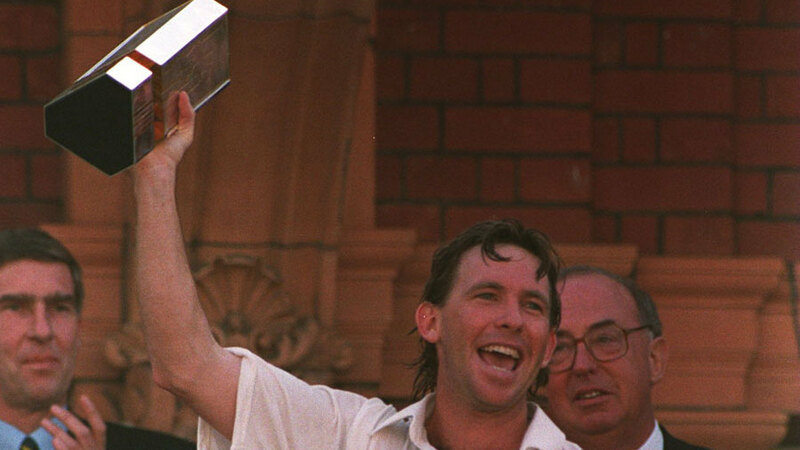 He also played three Tests and 29 ODIs - including the 1992 World Cup final - for England. He moved into coaching once his playing career finished and seemed set for a bright future. But a promising career in broadcasting and coaching was derailed in 2005 when it emerged that he was struggling with a drug problem. While he has made a successful return to coaching since those days - he has worked in India (including a spell as assistant coach of Pune in the IPL), Australia and New Zealand, where he helped Central Districts to the Plunket Shield final in 2008-09 and the T20 competition in 2009-10 - opportunities in England have remained scarce. Having returned to the UK after a spell living in Australia, Reeve was contacted by Strauss recently with a view to adding his insight to the limited-overs squad. As well as attending training on Sunday he is expected to speak to several of the players individually. He does not, at present, have a longer term role within the coaching team and will only spend Sunday with the squad.